We have a ambitious crowdfunding campaign to modernize equipment and increase production, especially our sour beer. 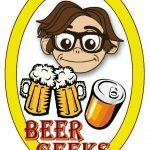 At South Plains Brewing Company we have started started a crowdfunding campaign called ‘Beer for Life‘. And it is exactly as it sounds. You invest on our brewery and with that you get a certain amount of bottles every year for the rest of your life, as long as we are brewing and you are alive and kicking, the deal stands. One stipulation is you must come to the brewery to pick up your bottles. 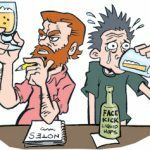 The people that invest into the brewery, aka, ‘The Crowd’ they will become ambassadors for South Plains Brewing Company and Funkyland Fermentationists, Really Good Karma Kombucha and Green Dragon Ciderhouse. This will be the first phase of a ambitious plan to modernize our brewery and increase production. As you may know, opening a brewery is a extremely expensive venture, all the equipment is stainless steel and the profits from a bottle of beer are very low. To get into this business you have to be a little bit crazy and have a passion for creating unique craft beers. But all over the world, we have a massive social media platform of beer enthusiasts. People love what we are doing! For the first phase we are going to offer several options. 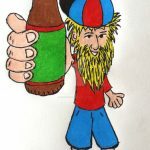 For a one time buy in of 250 Euro, the crowdfunder will receive 12 bottles of beer, once a year, for the rest of that person’s life. For a one time buy in of 400 Euro, the crowdfunder will receive 24 bottles of beer, once a year, for the rest of that person’s life. For a one time buy in of 1000 Euro, the crowdfunder will receive 72 bottles of beer, once a year, for the rest of that person’s life. 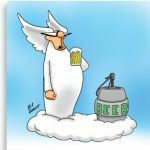 For a one time buy in of 4000 Euro, the angel crowdfunder will be able to work with the brewer to design a batch of beer, be involved in the brewing process, be involved in designing a label, choose the market on which to release the beer, be involved in marketing for sales. The crowdfunder will also receive 24 bottles of beer, once a year, for the rest of that person’s life. 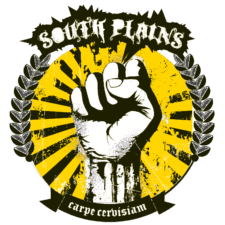 The South Plains Brewing Company will not compensate, whether through commissions, finders’ fees, or other means, any third party for directing a gift or a donor to the South Plains Brewing Company.